I search for Tilesets that cover all or the most of the FireRed ones, I am really Bad at pixeling so i'd Like to take an existing Set Form someone. Dies anyone know where i can find such tilesets? Are these all default FR tiles vor is this a mixed one? FazimoV liked the project "Pokémon: Distortion Black Reborn". Guys Every time i try to open a FireRed Rom with advanceMap 1.95 it says: "CityNameAmount is only 110 not 147" and after hitting OK it says "ERROR: (EStringListError) List index (109) out of bounds" what dies that mean and how can i fix it? 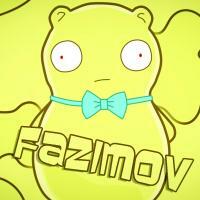 FazimoV changed his hacking status from "Looking" to "Working Solo"
FazimoV updated his profile photo. FazimoV liked the project "Pokémon Volant Version". FazimoV liked the project "Pokémon Inferno Red". FazimoV liked the project "Pokemon Shining Waters/Hazing Flames". FazimoV liked the project "Pokemon shadow".